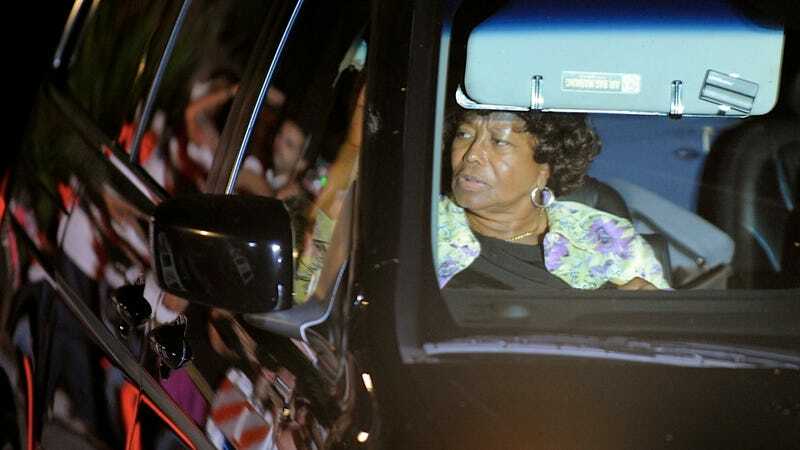 Matriarch of the Jackson family Katherine Jackson was reported missing late Saturday night by her concerned nephew, Trent Jackson, who filed the report with the Los Angeles County Sheriff's Office in the midst of an acerbic dispute between the various Jackson scions over control of Katherine Jackson's financial and legal affairs. Jermaine Jackson countered the report, however, by tweeting that his mother wasn't so much "missing" as she was simply no longer in California — she'd flown from her home in Calabasas on July 15 to Albuquerque in order to attend a Jackson brothers concert. According to Jermaine, she's currently "resting up in AZ on the orders of a doctor."